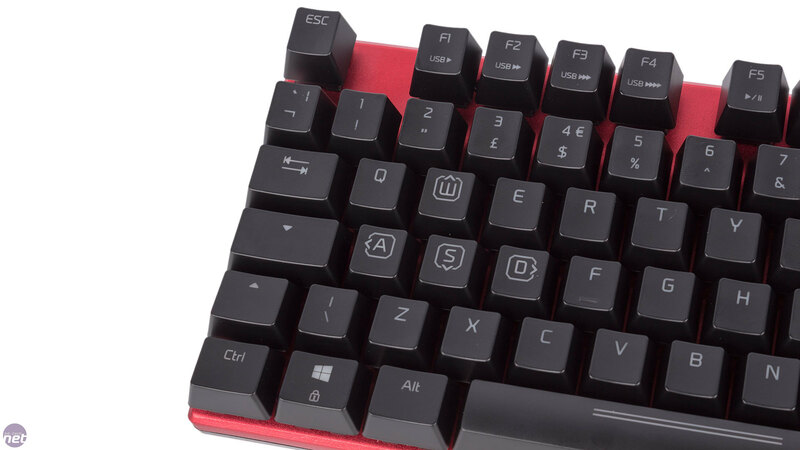 While £80 is about the most you can expect to pay for a feature-packed membrane keyboard, it's closer to entry-level pricing where mechanical switches are concerned. 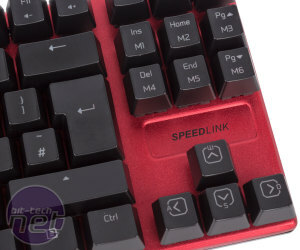 It's also where the Ultor from Speedlink comes in. The attractive price matches what we saw with the Roccat Suora, although that's a full-size keyboard whereas this one is tenkeyless. The frameless design really takes advantage of the tenkeyless layout, keeping the Ultor's desk footprint very small. 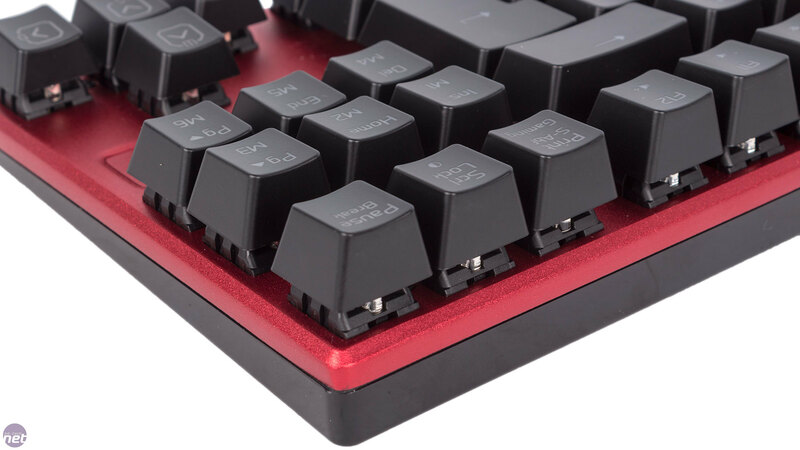 The plastic base felt weak to us, but thankfully it's combined with a stronger aluminium top cover that's been given a red coating, and together they make a keyboard that's sturdy but not as rigid as what we're used to from higher-end models – it's similar again to the Suora in this regard. 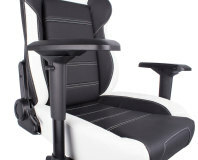 The extendible plastic rear legs have rubber bases, and a little more rubber near the front means the Ultor grips surfaces well enough, albeit not so much when the legs are tucked in and the keyboard flat. The non-detachable 1.7m USB cable is nicely braided in black and red and there's some reinforcement too. 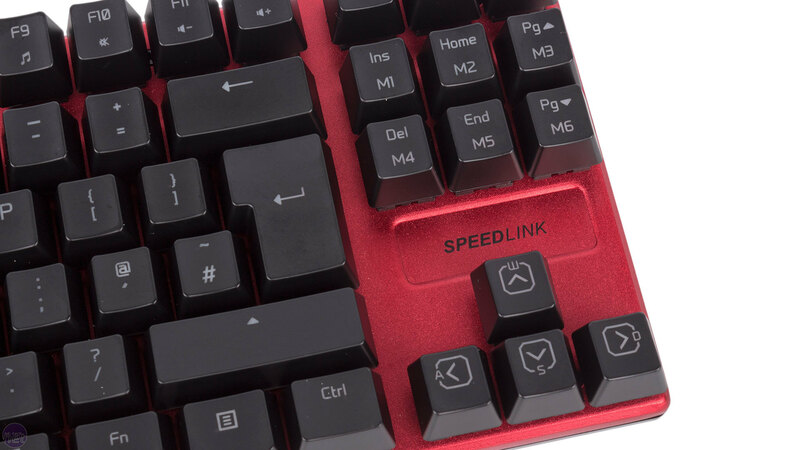 Speedlink has opted for standard red Kailh switches – a classic choice from companies looking to produce mechanical keyboards at a lower price point. They are designed to mimic Cherry MX Reds in shape and action, but the action is spongier and less consistent across the board. The distinct crispness is dulled a little, although don't get us wrong – it's still significantly better than typing on a membrane-based keyboard, and we got on well enough in games too. 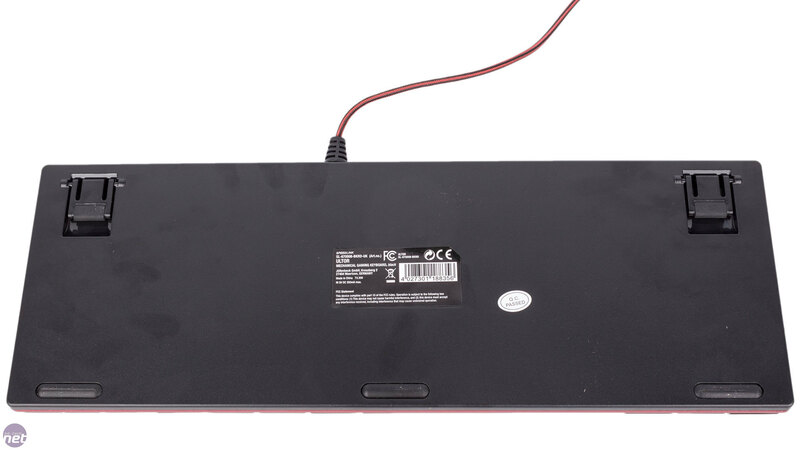 N-key rollover is supported by the Ultor as well so you needn't worry about missed hits. With the Kailh switches retaining the standard Cherry MX cross-shaped plunger design and the keycaps all being standard size, the Ultor is compatible with most third-party keycap replacements. 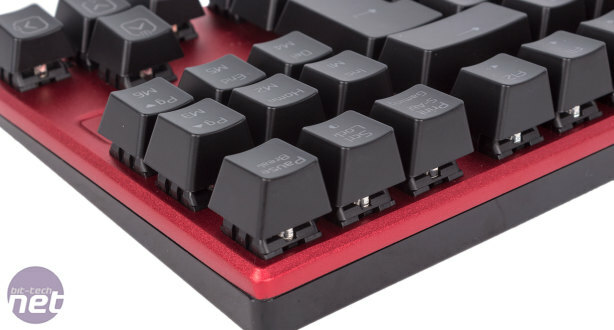 The keycaps themselves are raised from the front fascia – a now familiar design – rather than partially embedded in a housing. 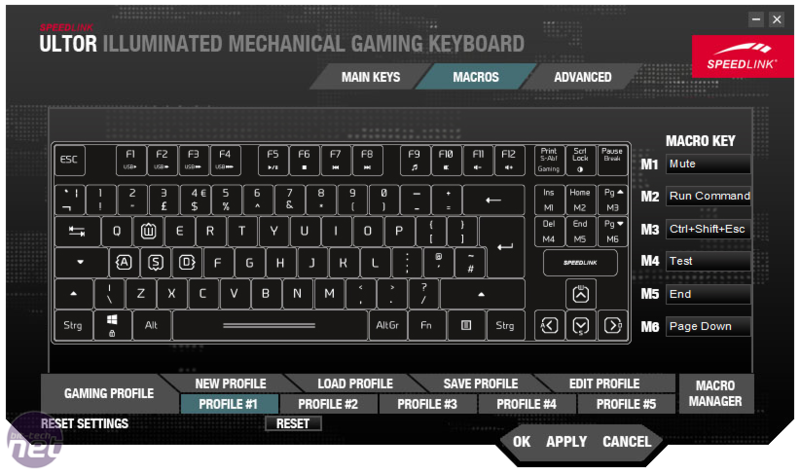 Backlighting is always a handy feature, although Speedlink has gone for blue for the majority of keys and white only for the WASD, arrow and Gaming Mode (Print Screen) keys. White all over would have been a more neutral and perhaps more sensible choice, and there are no other colour choices available. 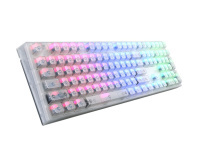 The LEDs are bright, consistent and shine through the keycaps evenly, even where symbols are on the bottom half. FN and Scroll Lock changes between off, breathing and ten separate brightness levels, and the LEDs for the Lock keys act as the indicators too. Meanwhile, FN paired with F1-F4 sets the USB polling rate to 125Hz, 250Hz, 500Hz or 1,000Hz, and F5-F12 are dedicated to media and volume functions. Finally, FN with Print Screen triggers Gaming Mode, which locks the Windows key and activates the custom layer for whatever profile you're in. 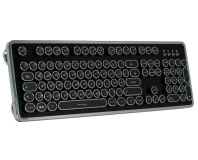 With its 64KB of memory, the Ultor can store five custom profiles, with each including up to six special functions or macros using the keys clustered above the arrow keys – far from the most convenient place for macro keys, but again it's what the Suora offers too. Sadly, there's no onboard way to switch profiles (FN with 1-5 would have been our choice); for that you'll need the driver software. This means only the profile that was last active can be taken on-the-go. The application is mostly well laid out, but applying any changes – even just a profile change – takes far too long; about 25 seconds. You can also assign programs to the profiles to auto-switch. 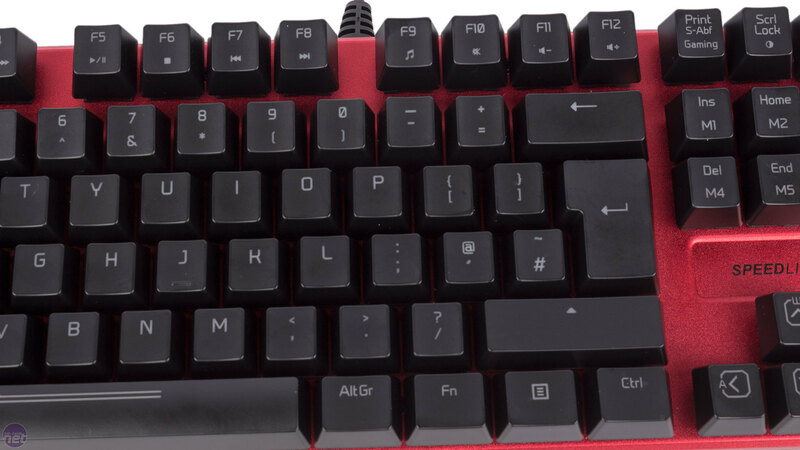 The main keys can be remapped to a different key, while the six macro keys are more powerful – they can be assigned a bunch of pre-listed media or Windows shortcuts, as well as multi-key keyboard shortcuts (e.g. Ctrl + Shift + Esc) and custom-made macros, or simply disabled completely. 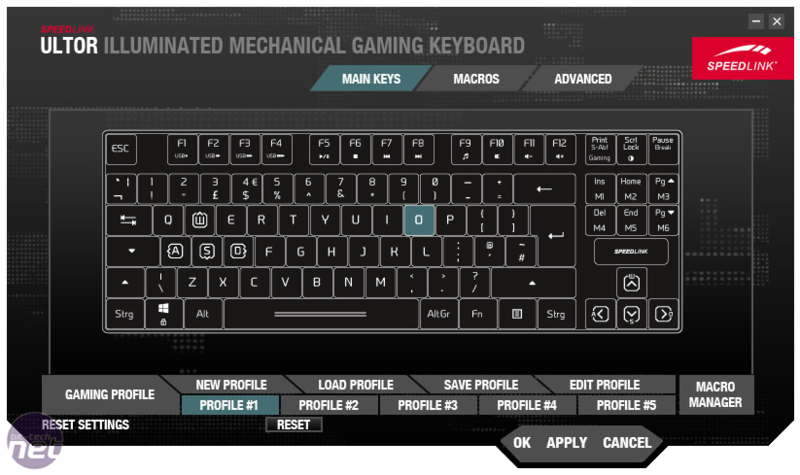 For each of the five profiles custom functions are only available in the aforementioned Gaming Mode. 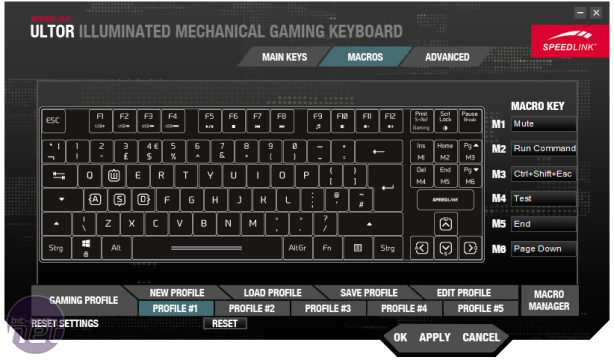 Setting things up is easy with the intuitive keymaps and menus and the macro editor, while simplistic, works fine. You can record delays but you can't set a specific fixed delay. 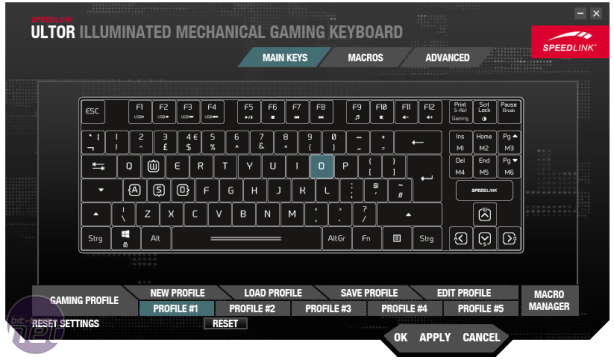 Macros can be played back normally, looped a set number of times or, by using FN with the key, looped infinitely until it is pressed again or Gaming Mode is disabled – there's no 'play while held' option, however. The Advanced screen is pretty much just a different way of setting things you can already control with the hardware – polling rate, lighting and Windows lock. There's also a key response time setting but it made no tangible difference. Frustratingly, changes you make with the keyboard to these settings aren't reflected back in the software. The sub-£80 pricing here is attractive, and the Ultor has a pleasant selection of features as well. 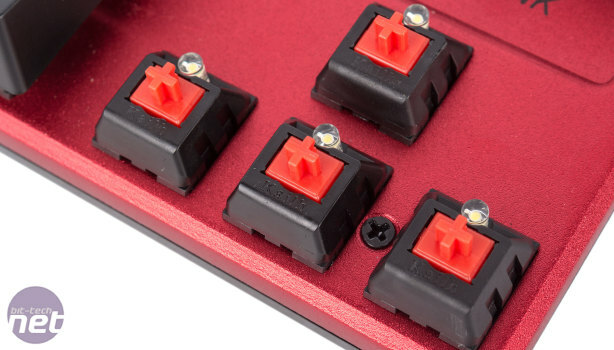 The Kailh switches offer acceptable performance, but they can't match Cherry MX models. The software is a bit disappointing, especially with how long it takes to program new settings or even change profile, and it looks dated next to offerings from Roccat, Corsair and Razer, for example. Of course, this may not matter to you at all, and for a simple, well priced, tenkeyless mechanical keyboard this certainly fits the bill. 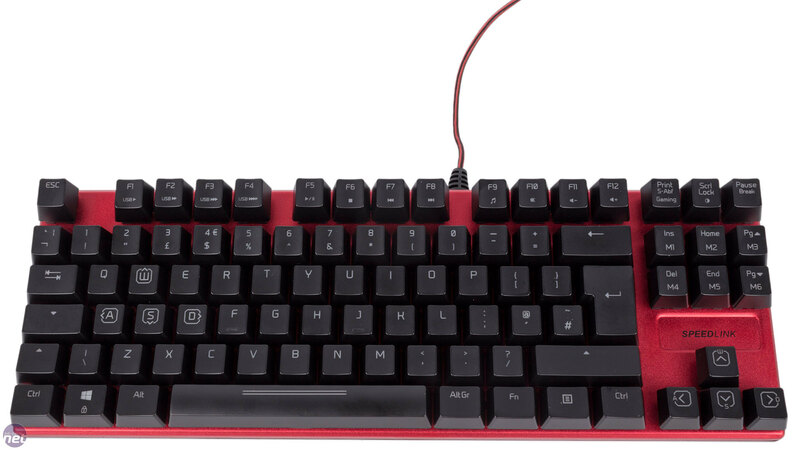 There aren't many keyboards that fit the same description, which works to the Ultor's advantage, but it's worth looking also at the similarly priced Corsair Vengeance K65 and Razer BlackWidow Tournament Edition, and the Ducky One TKL, while a little more expensive, is still below £100. 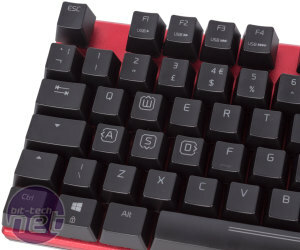 Still, neither of those first two keyboards sport backlighting, and while the lighting colour here also wouldn't be our first choice, it does give enough of an edge to the Ultor for it to snag our Recommended award in spite of a few flaws.